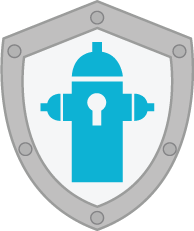 HydrantID’s cloud-based services provide critical PKI infrastructure necessary to secure communications between machines, network and mobile devices, virtual servers, and the Internet of Things, inside the firewall or out. We help our customers achieve security best practices while reducing operating costs and complexity. One simple subscription fee, all the service you need. Have any questions after reading? Send us an email or give us a call using the contact info below. Secure authentication and communications between machines, devices, IoT and virtual servers. HydrantID’s cloud-based PKI service eliminates operational complexity and dramatically reduces costs. Our cloud-based SaaS offering provides organizations the ability to obtain all their digital certificate needs in real-time, for one fixed subscription fee. No per certificate, per SAN, certificate type, validity term pricing or credits to manage. Just one simple subscription. Access your managed PKI as a service via HydrantID’s enterprise SaaS portal with complete policy control, delegated administration, on-demand auditing and reporting. Automate and scale certificate provisioning, for mixed IT environments.